shellyl, PuffyBrown, Golden75 and 2 others like this. In the not so wild wilds of Western TN! Yeah me too!!! I guess any good PJ worth their weight in conditioner would have these products on hand!!! yaya24, Ms_Delikate and [email protected]@ like this. I made up this combo a couple hours ago before seeing this thread, but the conditioner is Say Yes to Carrots. Everything else is the same. I did it a week ago for the first time and my hair was like spun silk. Are either of those 'deep conditioners' or are they just 'regular' conditioners? "Really Raw® Honey is totally unprocessed honey. It still contains pollen, propolis, honeycomb and live enzymes -- all the goodness the bees put in! That's why Really Raw® Honey is creamy, smooth and spreadable with sweet and crunchy cappings. Really Raw® Honey is gathered from fields of wildflowers planted by nature, without pesticides or fertilizers." Thank you for posting this. I have those brands of jojoba and aloe gel. I have been trying to think of a way to make the Aubreys cons easier to apply. Glad to know this combo works!!!!SUBSCRIBING! Looks like an awesome recipe. Where did you get your steamer? OMG, this sounds delish! Thanks a million for sharing atlien11 ! I have been in need of a moisturizing deep conditioner. My hair is begging me for this. I ordered the aloe vera to use in a sprtiz mixture with liquid lecithin. I just have to purchase the rest of the ingredients and I will give this a try. I hope that wild oats has the really raw. Its not that expensive either which is a plus! I have them on hand. wow all i have is the honey. i always thought i was a PJ until i joined LHCF. now i am just an avid product tester. Thanks for posting this recipe it truly sounds yummy! Truth be told the HSR is the first conditioner that I have ever used where I felt I didn't have to add a thing. That being said I have become such a mixologist and this sounds like a great way to make the HSR last a little longer. 5 stars for this thread. I just tried this with my Philosophy Shear Splendor Masque. (which is $22, so I'm quite happy for a way to make it stretch) I didn't want to use my HSR, because it's so wonderful by itself, I don't want to make it better, you know the whole marijuana to crack jump. Anyway, I thought I didn't have any hair left on my head because as I combed through on my rinse, the comb didn't seem to be touching anything but it was because my hair was so so... I can't even think of a word. What's a good way to describe hair that's so soft and smooth that a comb floats through it? Well, that. So my hair is airdrying right now and on the pieces that have started to dry already, this seems very promising. I'll come back and update when all of my hair is dry. Sally. and juliehp like this. This sounds wonderful. I add coconut milk to my Aubrey's, but have been curious about adding honey as well. Commenting again--this is an excellent moisture combo ladies. I've done it twice now, once with the Philosophy Masque & once with Humectress. I think the results with Humectress are even better. I am going to copy this thread to the hair recipes board and stick it, so that everyone has easy access to it. Thanks again Adequate. This is truly wonderful. thank you for sharing this! do you think this recipe would work with just a regular heating cap? updated may 2010 to say: it took awhile but i'm finally on the hunt for a good steamer. KILLA KALI..THE STATE WHERE THEY KILL..
After you mix everything together, did you put all of it on your hair or just the amount that you needed? KissyKissyLuv - i whipped up a batch and saturated my hair with it. Whatever was leftover that i didnt use (im heavy handed so i used most of it ) i just rinsed out of my mixing bowl. HTH!! when you say "seal ends" what do you mean? I have all this stuff at home. 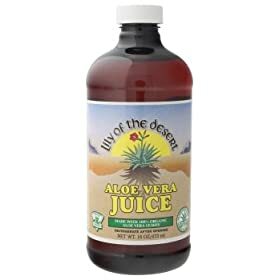 I just never thought of adding the aloe very juice.